At first look at the picture. 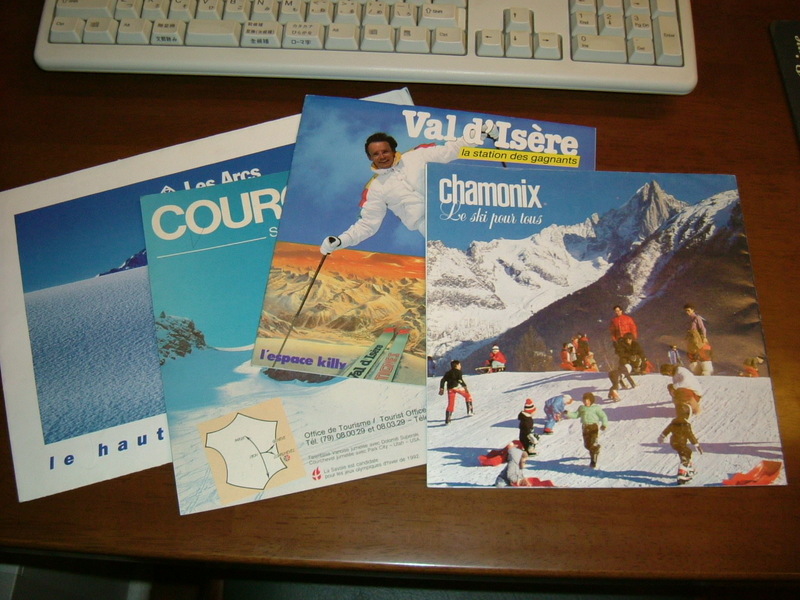 These leaflets on ski resorts in Europe came to me a couple of days ago. These are from my friend in Switzerland. I become friends with a few people in Whistler every time I go there. I think it's because all the visitors are on vacation and also happy. It makes us talkative. Especially if they are from other countries, it means they are kind of sophisticated and nowhere near committing criminal offenses. This provides some sense of security. I'm going to visit Canada next March for the first time in two years and I feel my mind has already gone to Whistler. By the way, I cannot afford to go on a ski trip to Europe now, but my eldest daughter can communicate with people in French and my second daughter in German. That is to say, my family can move in Europe easier than usual. I'm sure to visit France, Switzerland and Austria in five years. My youngest daughter would be a student of veterinarian science and we would have enough time at that time. My wife has just started to learn French to enjoy French dishes. 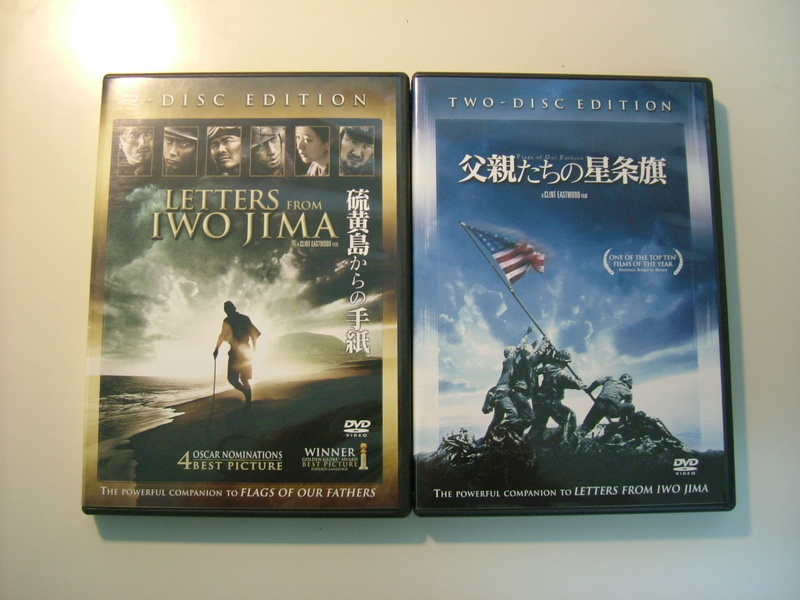 I watched the DVD movie "Letters from Iwo Jima" directed by Clint Eastwood. Lots of Japanese people appreciated the movie two years ago, but I felt something different from them. A soldier, a former baker, relates his reminiscences that some policemen often stole his bread from his bakery shop. Was it actually true? Japanese people at that time were famed for their high moral fiber, and moreover the policemen were paid enough to survive wartime. Another soldier, a former policeman, spoke reflectively. His boss shot a dog dead with his pistol. Was it really true again? They had the thought that only a bullet was given by the Ten-noh and was very valuable. Iwo Jima is a small island near the equator. The climate is as you would think. The Japanese army was staying in a cave on that island. Food, water and medication were short and the system of ventilation was poor. It must have been hot in the cave. All the wounds and injuries would have got infected and given off terrible smells in the cave. Many soldiers were dehydrated from dysentery. However, the soldiers in the movie were lively and spoke loudly. I thought it would have been impossible while watching the movie. I like Clint Eastwood as an actor but I'm kind of dubious about him as a director. I'm very sorry that figments of a writer's imagination turn into facts in his movie because he says that this movie is a real story. The Buddhist memorial service for my late father-in-law was held in my wife's original house which is in the north of Okayama prefecture. I got up at about 4:30 and started at five o'clock. It was four hours' drive to the house. His picture and offerings were put on the altar and the Buddhist monk recited a sutra. This ceremony was without doubt for my late father, but I thought that this ceremony was for us. After the parents pass away, their children will drift apart from each other. I felt that this ceremony might be wise of us to unify the relatives. My wife and I enjoyed talking and having lunch with people who got together. Some of them took more than a half day to attend the ceremony. It will be two years later for us to see them again when the next ceremony will be performed. 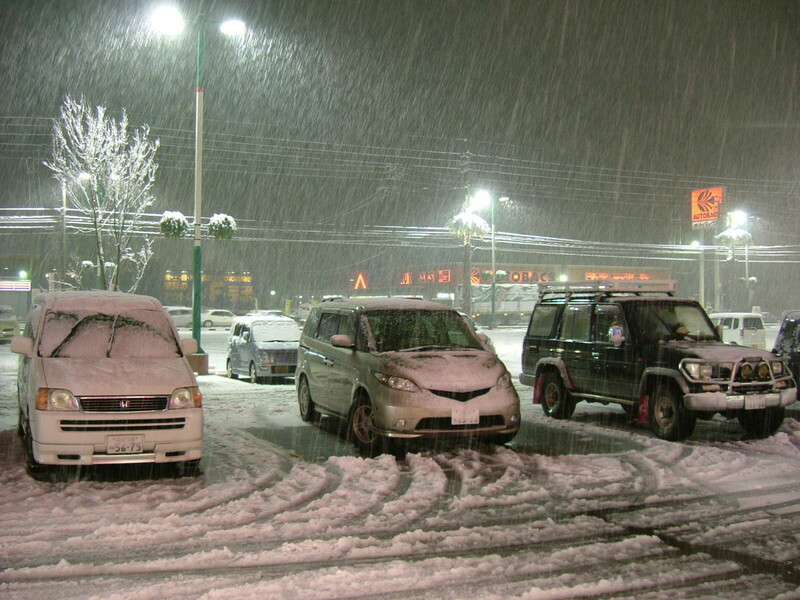 We left Okayama about three o'clock P.M. and hoped to arrive at our house before 7:00, but we were caught by a heavy traffic jam caused by the snowfall. Our hometown has a relatively warm climate and most drivers aren't accustomed to snow. Though our car had winter tires and was ready to run on the snow, we ended up getting to our house at about 10:00. So exhausted! I received the news of the death of one of my best friends today. I graduated from Okayama University Medical School which has a special teaching system for students. Students were separated into like ten groups and got practical lectures at the bedside of the wards group by group. He and I were members of the same group. We were at the same place almost all the time in the campus. After graduation he chose anaestheology as his major, and I general surgery. When about eight years had passed after our graduation, he was working at the Mayo Clinic in Rochester in Minnesota. I was eager to see and know how surgery was in the Mayo Clinic, which is famous for its high level medical service. I wanted to compare my skill and that of surgeons of the Mayo Clinic. At that time, he did all the procedures for my joining the surgery team in the Mayo Clinic on my behalf, though I didn't have a surgeon's licence in the U.S. It was a really valuable experience and I could gain more confidence. I hope that his family will snap out of it as soon as possible. Life goes on and we have to move on. 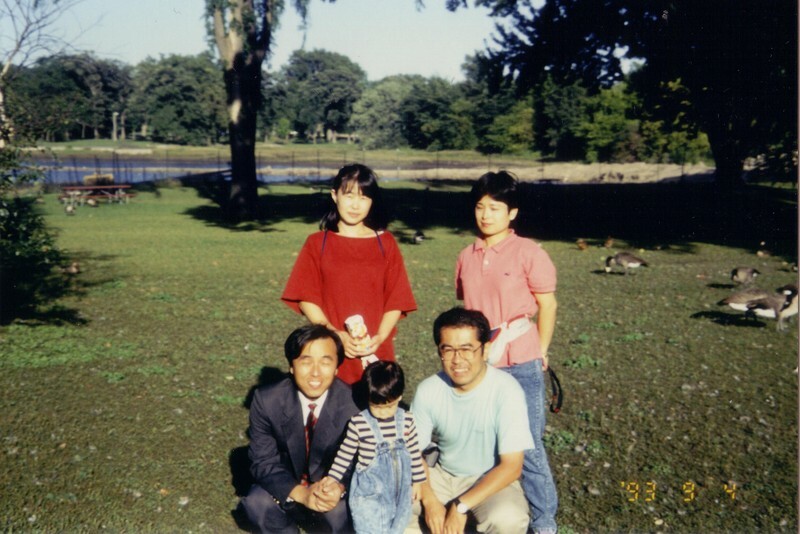 The picture was taken at a park in Rochester with his family and my colleague's wife. Our next ski trip to Canada has been scheduled. All members but me will visit Whistler on Mar. 21st. I couldn't take enough days off and will leave here on Mar. 23rd alone. I'll enjoy skiing in Whistler and Blackcomb for four days and stay in Vancouver on 28th and go back to Japan on the next day. 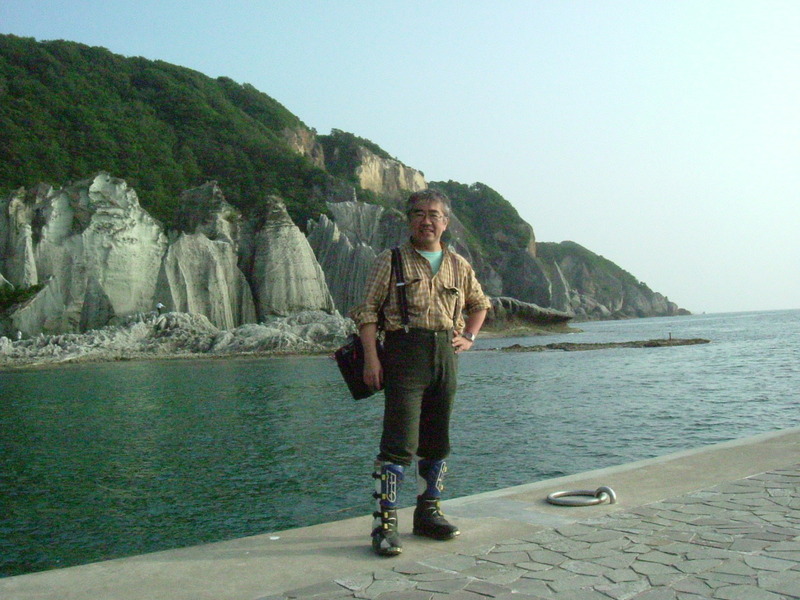 Our plan in Vancouver is up in the air yet, but I'd like to visit the statue of Mr. Inazo Nitobe which is near UBC. These pictures were taken in Hokkaido University which has the oldest department of veterinary science in Japan. My youngest daughter is eager to become a veterinarian and wants to be a student of this university. 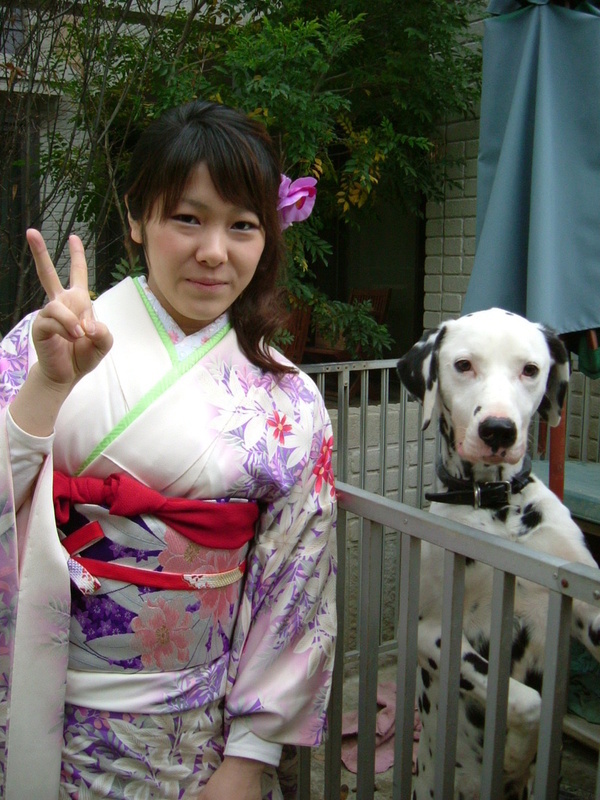 She'd like to proceed to higher education like UBC Postgraduate School and become a researcher. I'm going to ask a taxi to drive slowly in the campus of UBC. She's also looking forward to joining the ski school in Whistler. This time her English is better than two years ago and she's going to try talking to lots of people on the slopes and in the village. It would be a great experience for her. 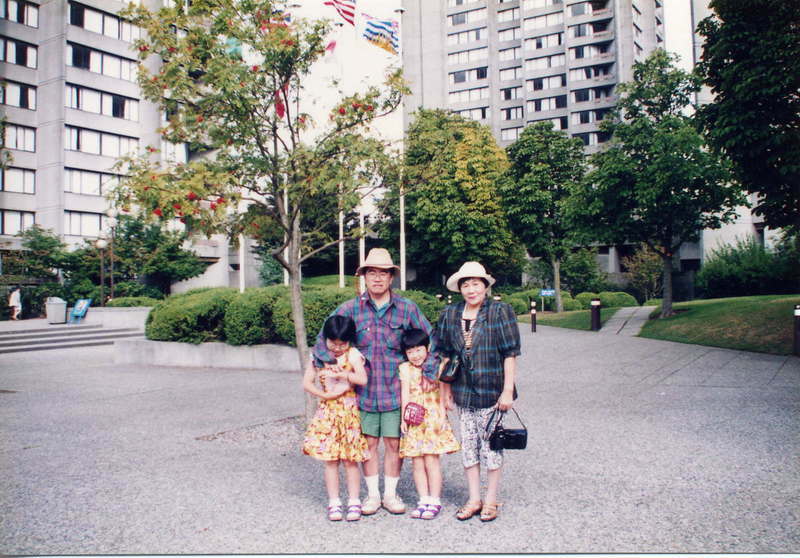 My mother, Eri, Yuri and me in front of one of UBC's domitories in 1995. A terrible stomachache started this morning. I had no recollection of having had bad food the previous night and I was afraid I had gotten some malignant disease in the abdomen. While I was wondering if I had some medicine in my house, a severe diarrhea started and at the same time I was relieved to see that it was just because of a gastrointestinal infection, not a malignant disease. Though I felt relieved, my severe stomachache was continuing. I had some appointments with patients today and had to make a general round in the wards. I got to my office anyway, but I felt a disabling fatigue from dehydration and I got drip infusion. As you know, a drip infusion needs at least a few hours and it means that I had to cancel all of my schedule today. Since I had a stomachache, I was being pressed to think that I had to work today as usual, but I gave them up. I had medication in my office. Peculiarly, there's a kind of freedom in being completely screwed because you know things can't get any worse. I could enjoy a DVD movie titled "FRESHMAN" starring Marlon Brando in the daytime of a weekday. I found the phrase "There's a kind of freedom in being completely screwed because you know things can't get any worse" in this movie, and I thought that it was really true. There's a kind of freedom in being completely screwed because you know things can't get any worse. I bought a toaster oven today. I found it in the flyer of a new year bargain sale. It cost only 1800 yen. This price is just like four cups of coffee in regular coffee shops. The manufacturer is SANYO, which is famous and reliable. I can't understand why this is made for only 1800 yen. 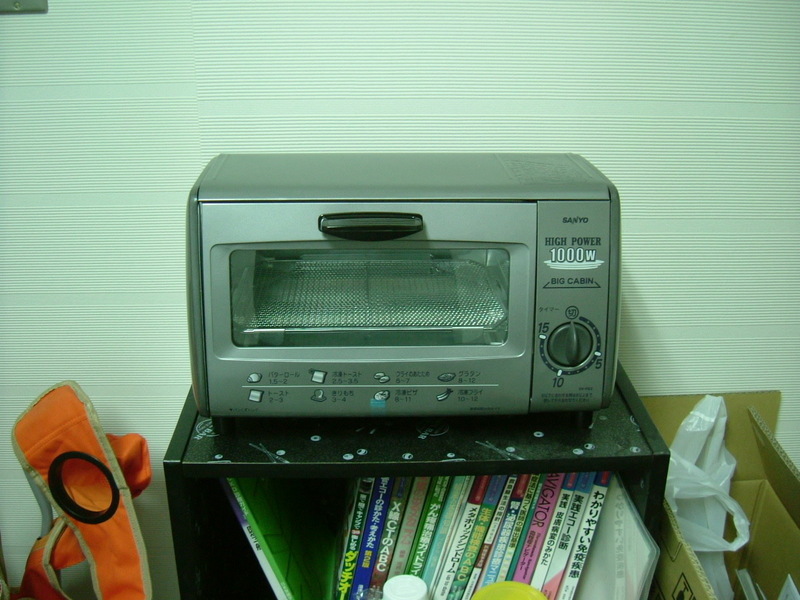 It's good to get it at a low cost, but I couldn't help thinking about people who work for this toaster oven. Can they make enough salary? The pictures were taken on Jan. 3rd. 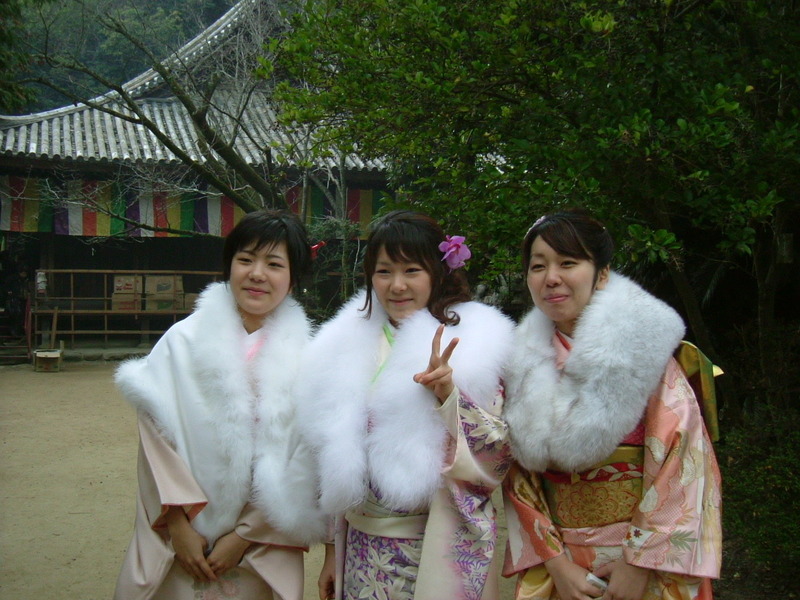 Eri, my eldest daughter, is living in Tokyo now and Yuri, my second daughter, is in Nagoya city now. Both are university students. 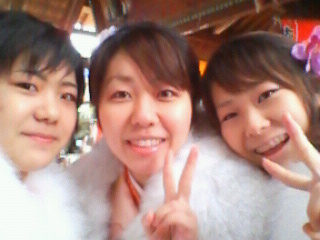 A, the youngest, is with me and my wife. Because it's not so common that three daughters get together, my wife wanted them to dress in kimonos and have their pictures taken by a professional photographer. I'm going to show you some of those pictures here in Feb. or Mar. The pictures below were taken by me with my digital camera. 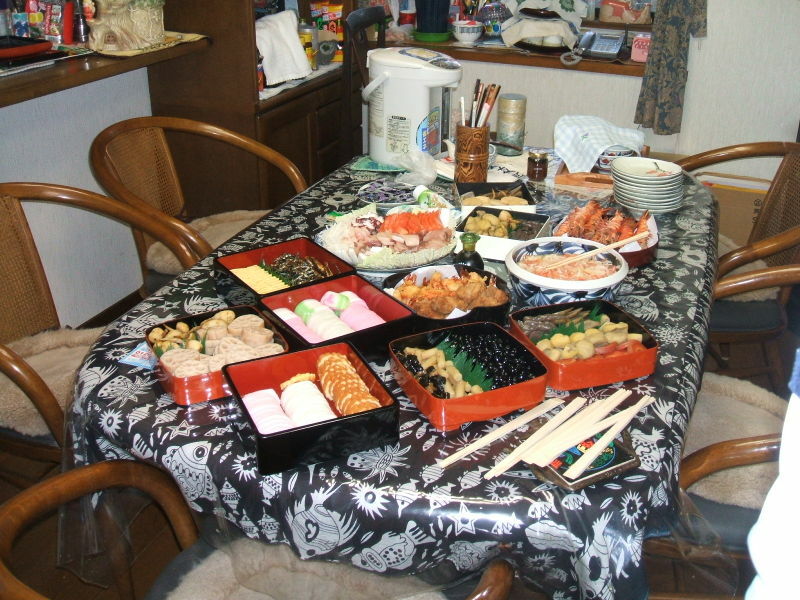 The picture shows the new year's dishes prepared on the table in my parents house. It was taken on Dec. 31st. These new year's dishes are called "Osechi". 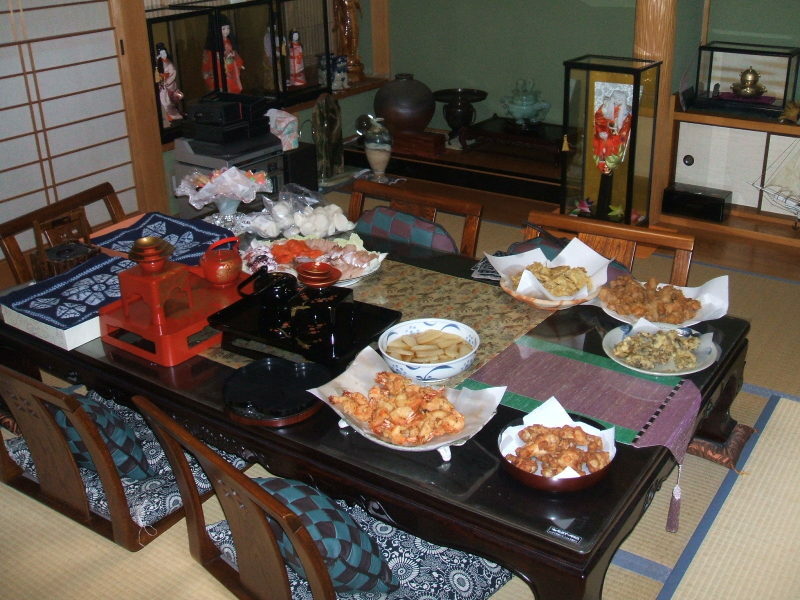 Osechi includes a lot of food that can be kept for a few days and is all prepared before New Year's Day. We and our visitors will have it for the first three days of the year. Dishes that were made were carried to the back table shown in the second picture. Traditional Japanese room. The visitors are usually shown into this room first, but during the new year's first three days this room is used as a storage room for foods and is kept cool without any air heating. As the foods in the living room get short, these foods are taken into the living room. 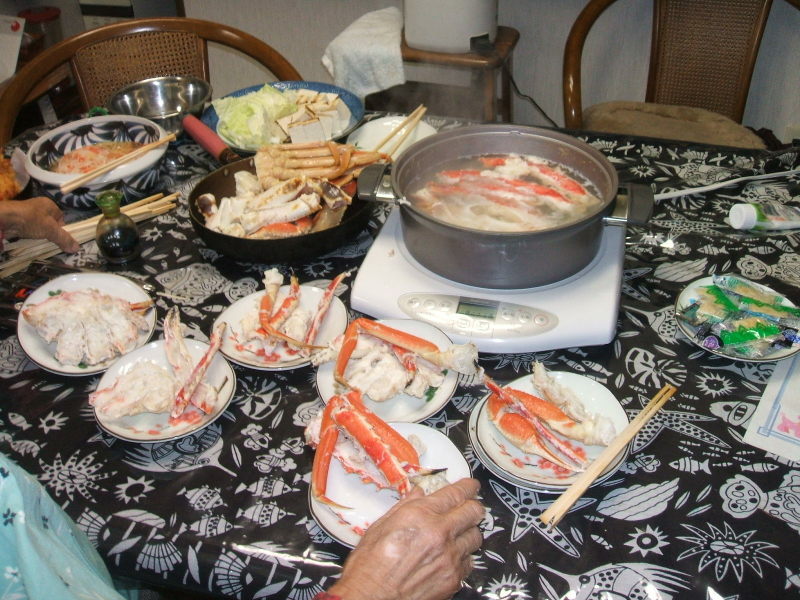 However I like king crabs rather than traditional foods. It's common sense in Japan that the wallet which you got at the beginning of the year brings you good fortune. Lots of famous brand shops like Louis Vuitton, Gucci or Ferragamo display their products during this season. My card case in which I put my name cards, credit cards, driver's license and membership cards is beginning to wear out. It fits comfortably in my hand and I'd like to use it from now too, but it looks bad and my wife told me that I should change my card case. So, I went out shopping to the biggest department store in my city. I don't like to shop around for the best deal because it takes a lot of time. It was not the case today, though. It was not easy to find a replacement for my card case. I had to visit five shops to find it. 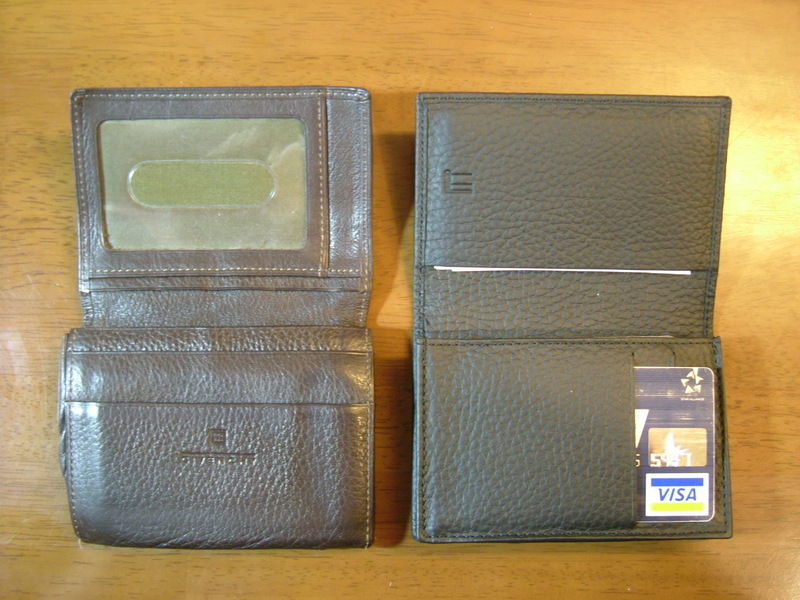 The picture shows the old and new card case. At Shimokita in Aomori Pref.